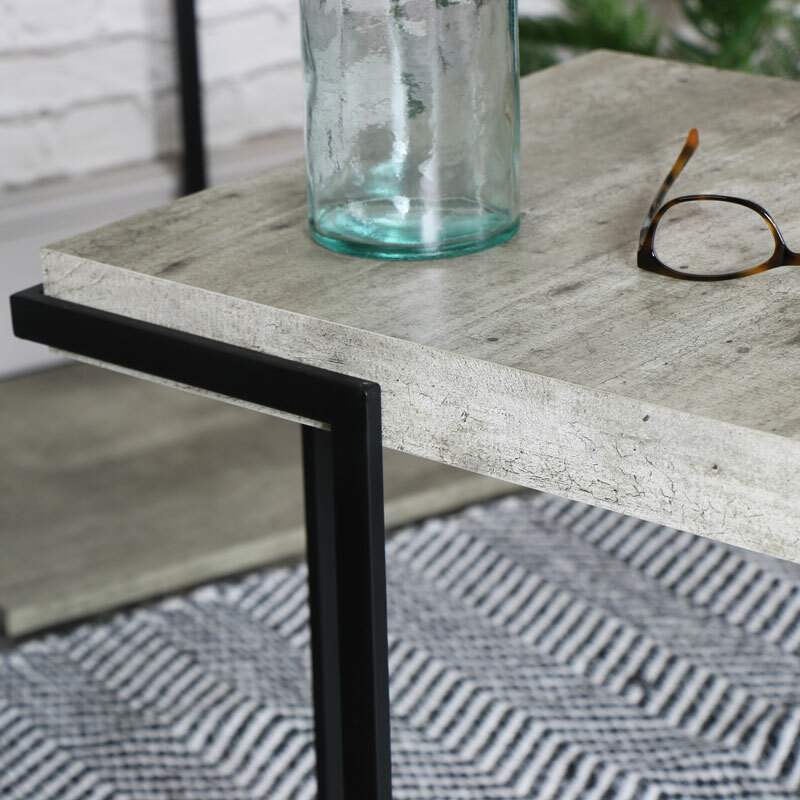 Stylish, quirky occasional table, black metal frame and grey concrete effect top and base. 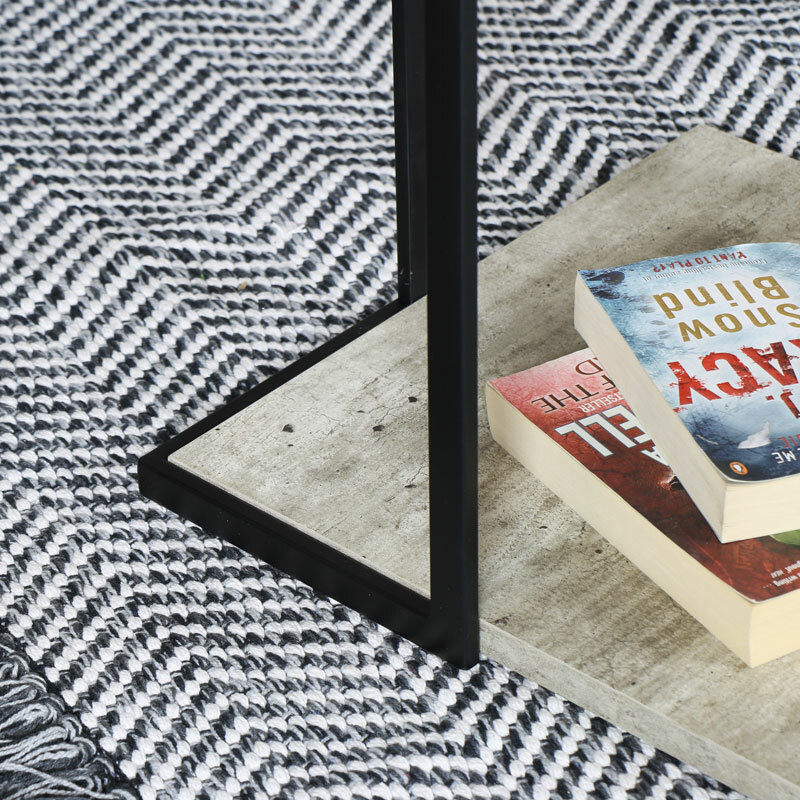 Modern, contemporary designed furniture for the industrial themed living room. Raw concrete look offer a bold statement. Perfect for use in the living room or hallway as an occasional table or can be used for displaying ornaments and plants. A great look for many interiors and gives that raw unfinished look whilst adding a stylish feel. Black painted metal frame and grey concrete effect base and top. Assembly is required with all the fixings included. 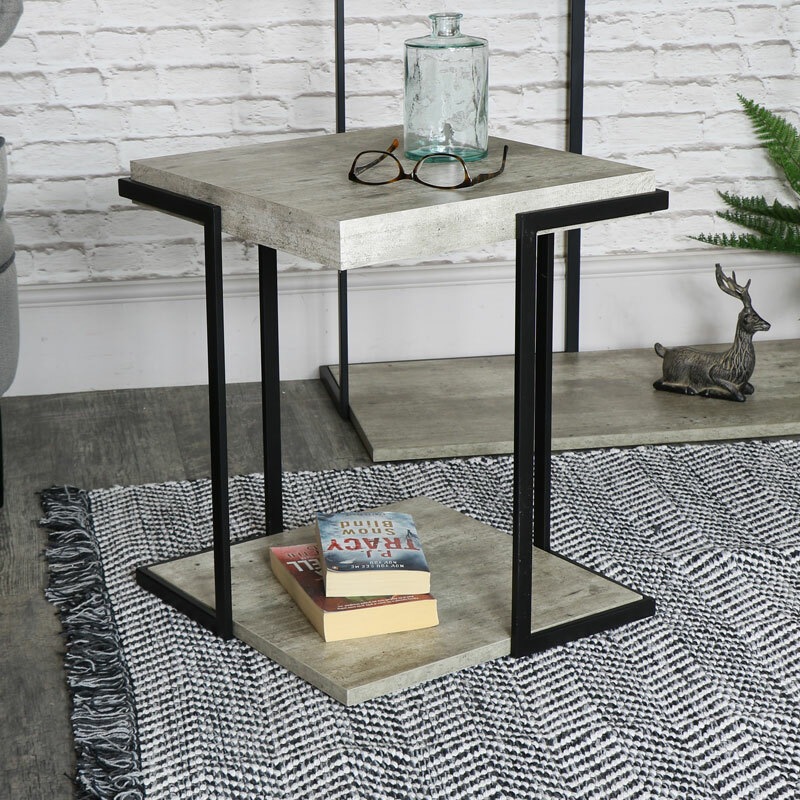 Looking for a way to add a little more surface space or simply a place to put a mug of tea or coffee, we have a fantastic range of side tables, occasional tables, coffee tables and plant tables. All the tables you could want in a wonderful array of shape, sizes, syles and designs.